Former Red Sox pitcher Curt Schilling and others agreed to a $2.5 million settlement to end their part of a lawsuit brought over Rhode Island's disastrous $75 million deal with 38 Studios, his failed video game company. If approved by the judge overseeing the lawsuit, the agreement filed Monday with four 38 Studios officials brings an end to Schilling's involvement in the case. Schilling has strenuously denied wrongdoing and said the company failed in 2012 in part because the state didn't do enough to help. Neither he nor the other company officials admit liability in the settlement with the Rhode Island Commerce Corp., the state's economic development agency. Retired Superior Court Judge Francis Darigan, who was acting as mediator in the case, said during a news conference that none of the defendants would pay out of pocket. Instead, 38 Studios' insurance company would pay. "No one is going to be perfectly satisfied with this," Darigan said. "It's a practical move on the part of the state." 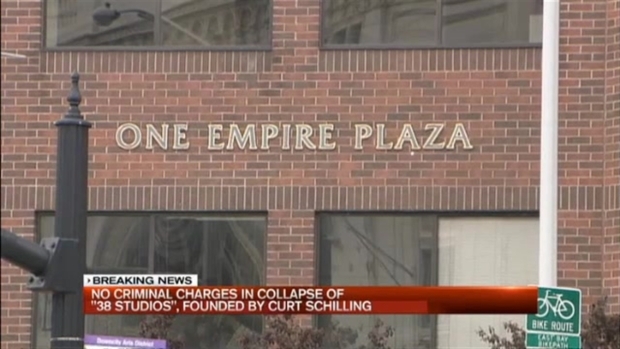 An investigation into 38 Studios, a failed game company, found no criminal violations. The Commerce Corp. signed off on the deal after it determined through "an exhaustive study" that the combined assets of Schilling and the other three would not exceed $2.5 million, Darigan said. He added that the attorney who did the review was satisfied "that there were no hidden assets that could be reached." Schilling has said in the past that he lost as much as $50 million of his own money that he invested in 38 Studios. Darigan said the examination of his finances was confidential, and he himself did not know the details. Schilling was fired by ESPN this year for "unacceptable conduct" following an insulting post he made on Facebook about transgender people. 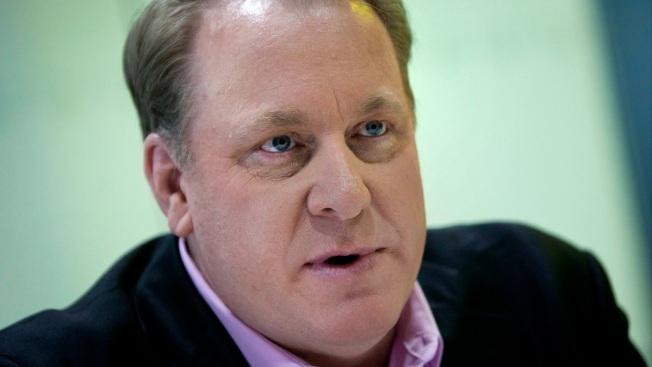 Curt Schilling to Challenge Sen. Elizabeth Warren? He recently signed a contract to host an online radio show. Darigan said that contract was part of the information the Commerce Corp.'s lawyer had considered when examining assets. Schilling tweeted Monday afternoon that he wanted to tell his side of the story publicly "once all is approved," but did not say when that would be. If Superior Court Judge Michael Silverstein approves the settlement, it would bring the amount of settlements in the case so far to about $45 million, and leave one defendant, First Southwest, which acted as Rhode Island's financial adviser in the deal. 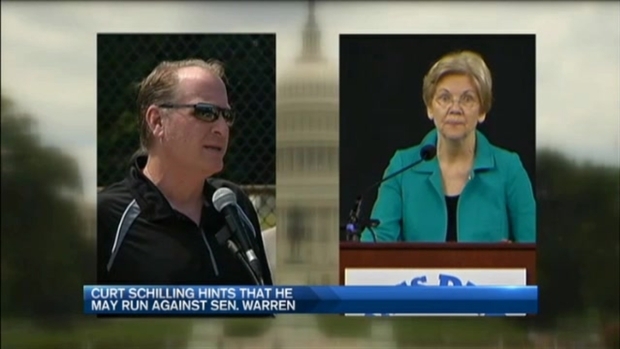 Curt Schilling Considering Challenging Sen. Warren? Former Red Sox pitcher Curt Schilling said in an interview with WRKO Radio, that he's considering challenging Massachusetts Sen. Elizabeth Warren in 2018, who will be up for re-election.